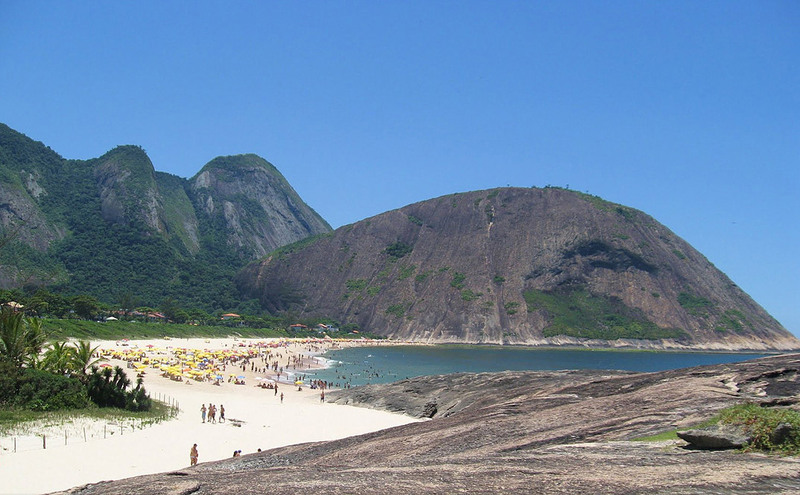 ELECTED BY TRIPADVISOR AS THE 12TH BEST BRAZILIAN BEACH. It is 700m long and considered one of the best beaches of the city, and its name means “written, scratched or engraved rock”. Amid a splendid vegetation, its waters are transparent and blue. Besides being the surfer’s paradise and offerering a rich landscape, it is a small beach and one of the most visited by young people. “Prainha” lies to the right and is the children’s paradise. A very small beach without waves and with mostly peaceful waters. Niterói Bus Lines: 38, 38B, 38A, 52, (Get off at the entrance to Itacoatiara).